Apart from being the most populous city of India, Mumbai also never falls short of amazing sites that are too good to be real. Browse through our compilation of 10 Unbelievable Places in Mumbai to Visit. And we can guarantee you won't be able to help yourself from planning a trip to Mumbai immediately! The first addition to our list of 10 Unbelievable Places in Mumbai to Visit is the epitome of ancient architecture known to the world as Kanheri Caves. With the formation dating back to 1st century BC, it is one of the oldest cave formations in India. Originally built as a Buddhist institution for worship, study and meditation, it has 109 special entrances. There are as many as 34 unfinished paintings within the caves. The majority of Kanheri Caves are monasteries giving beautiful insights into the ancient Buddhist practices. It is also called "Lungs of Mumbai" as it accounts for the maximum greenery and hence maximum fresh air in the city. Also known as "Queen of Suburbs", Bandra houses the residence of many A listers of Bollywood including Shah Rukh Khan, Salman Khan, Katrina Kaif, Deepika Padukone and also Sachin Tendulkar. For someone obsessed with Bollywood and Cricket, theses names are enough for them to pay a visit to Bandra just to get a glimpse of their idols. So while you're here, don't forget to see Bandra Fort and Mount Mary's Basilica. Speaking of unbelievable places in Mumbai and not mentioning St. George Fort, that's simply not done. Although it is a crumbled structure now, it holds great reminiscence of British Empire's early days. Built in 1769 as an extension to the fortification of Bombay, it was successful in defending us from the attack by Napoleon Bonaparte. After it served its purpose, it was demolished by Sir Barter Fier. And now its remains serve as a part of Bombay in a modern Mumbai. If England has Big Ben then India has Rajabai Clock Tower. Standing tall in the Mumbai University Fort Campus, it is one of the main tourist attractions of Maharashtra. An astounding work of architecture, it can be even viewed from a long distance. The clock even plays melodic tunes at regular intervals. The Rajabai Clock Tower not only has this magnificent clock on display but is also adorned with Venetian, Hindu-Saracenic, Victorian and Gothic style of architecture enough to make your trip a memorable one! 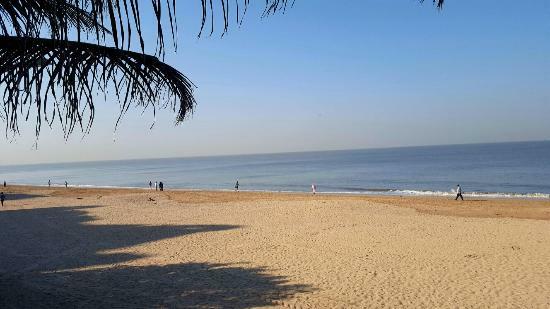 Madh Island Beach is one of the most famous beaches in India. Comprising of small villages and farmlands, it is a heaven for those who want a break from the hustle and bustle of the city. 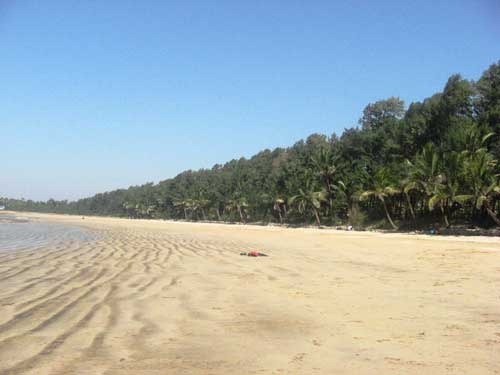 Mangroves at the shore of the beach only add to the scenic beauty of Madh Island. And if you're lucky you might run into film stars shooting movies. Next on our list of 10 Unbelievable Places in Mumbai to Visit is Bandra-Worli Sea Link. This cable-stayed eight lane bridge is a civil engineering marvel. The sheer grandeur of this bridge officially known as Rajiv Gandhi Sea Link can inspire the photograph within anyone. Designed to cater a whopping 37,500 vehicles every day, it has reduced the travel time between Bandra and Worli by a great margin. What earlier took 45-60 minutes to cover can now be reached in 7-10 minutes. Bandra-Worli Sea Link is a spectacle worth a trip. Come to Mumbai and witness its journey towards becoming a world-class city. Guarded by the vast Arabian Sea, Juhu Beach is one of the most visited tourist attractions in India. Surrounded by the stalls of world famous street delicacies of Mumbai, it is a perfect place to go and take a break. If you are lucky you can even catch film stars jogging. And forgot to mention the spectacle of sunset at Juhu Beach is pure joy! 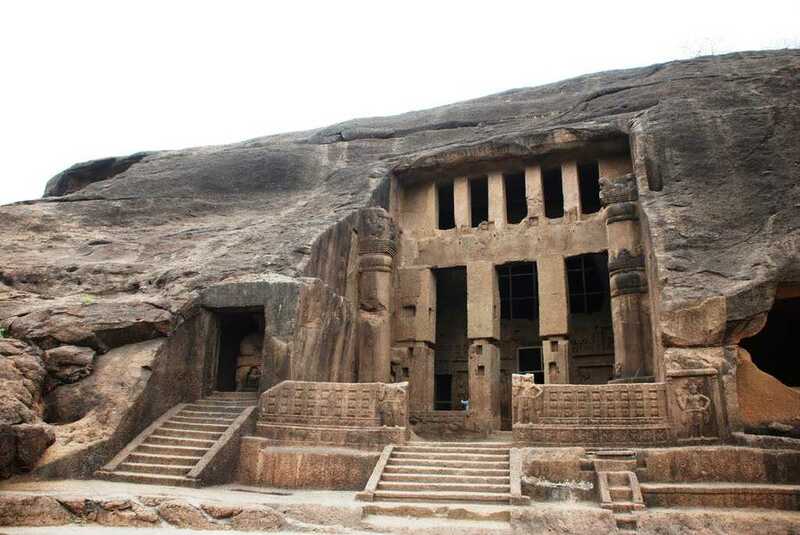 Composed of two group of caves, the architecture of Elephanta Caves dates back to 5th and 8th centuries. The first set of groups comprise of 5 Hindu caves and the other group includes 2 Buddhist caves. The majority of Elephanta Caves depict the cult of Lord Shiva. A gem among the medieval Indian monuments, Elephanta Caves are rightfully a UNESCO World Heritage Site. In 1878 when the British architects worked together with Indian craftsmen to include Indian architectural tradition what resulted was a grandeur known today to the world as Chhatrapati Shivaji Terminus. Formerly known as Victoria Terminus Station, it is an epitome of Victorian Gothic Revival architecture adorned with traditional Indian themes. Chhatrapati Shivaji Terminus is perhaps one of the finest functioning Railway Station buildings serving more than 3 millions commuters daily. 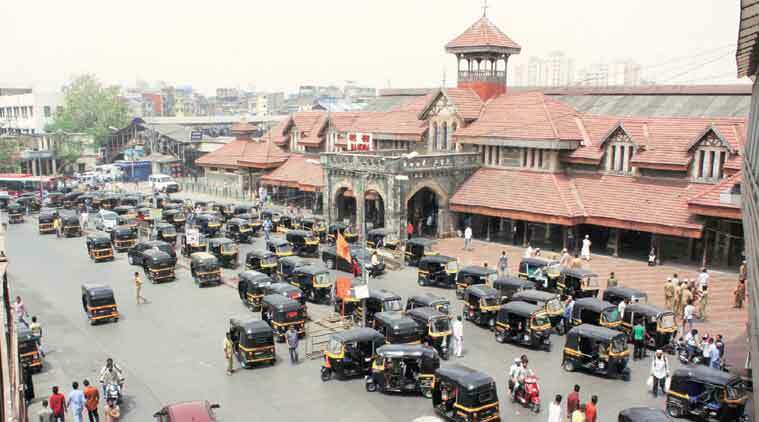 If you are not fortunate enough to reach Mumbai via this terminus then don't be any unfortunate to miss its splendour. Overlooking the mighty Arabian Sea is a landmark like no other; rightly named the Gateway of India, it is one the first monuments visited by tourists coming to India for the first time. Inaugurated on 4th December 1924, it is one of the most magnificent architectures of British Era. Always crowded with all sorts of people, it is the perfect place to blend in the spirited life of Mumbai. Needless to say, you can't claim you have seen Mumbai if you haven't been to Gateway of India. If you like this article on 10 Unbelievable Places in Mumbai to Visit then do subscribe to our blog. Feel free to comment and share. And you have suggestions, do send them right away!